We know that singing in a quartet makes us stronger, more independent singers. We know spending time with three close friends can be fun. We know that the joy of making music together is unparalleled. Why are we so terrified to do it? Our recent Quartet Showcase was a “no fear” zone! We enjoyed the performances of quartets trying things out for the first time…singers preferring to test the waters in a larger (or smaller!) group…veteran quartets with a strong track record of performance and time on the contest stage. Each and every performing group put their best foot forward and was warmly received. Molly and Kathleen did a great job inviting singers to take advantage of this fun and fabulous annual event. The evening was entertaining from first to last! New England Voices in Harmony was pleased to start the evening off with one of our newer songs, “Lazy Day.” From there, the smiles never stopped. 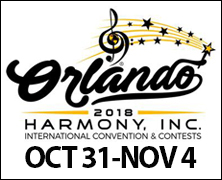 From the first performers, who brought an incredible talent and sense of fun to their baseball-themed performance, to the last quartet, qualifiers for the upcoming International contest – and everyone in between – we enjoyed amazing variety. 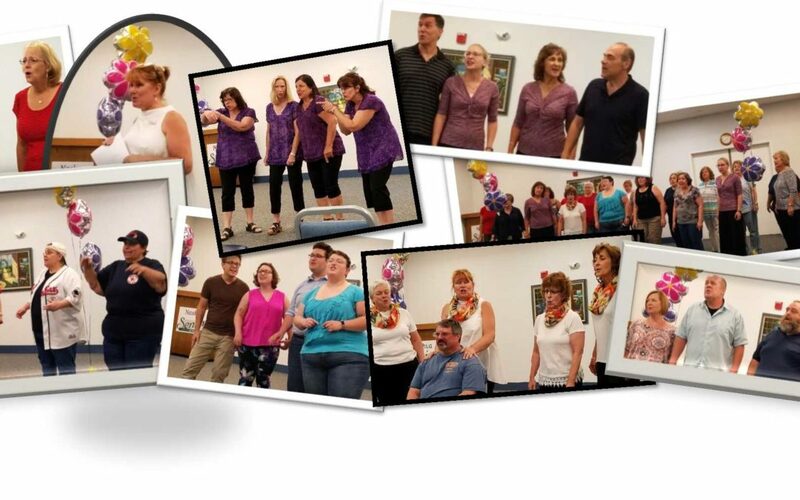 It was great to experience humor, joy, frustration, tenderness, love, and most of all harmony, as singers in groups of three, four, five, and more shared their gifts with us. With abundant food, and an afterglow at Liane’s house, it will be an evening to remember. If you weren’t there, we missed you. Make a “to do” note for next summer to gather at the kitchen table, back porch, or a corner after rehearsals with some friends so we can enjoy your performance next year! It was a blast. I was thrilled to be able to sing in the VLQ!! Another great post from our blog master!!! This blog captured it all! What a wonderful evening it was….continually entertaining. Molly, our emcee, even made cucumbers exciting! As a first timer singing in a quartet, it was the perfect opportunity to test the waters with Diane, Cathy and Joanne. We really went “Out on a Limb” and had a ball…baseball that is!!! Such fun! I felt so honored to be among so many experienced and incredibly talented singers! Can’t wait till next year! We all had a blast!!!! Another great article! I was happy to be there to witness the talents of all. Loved the new quartet! !